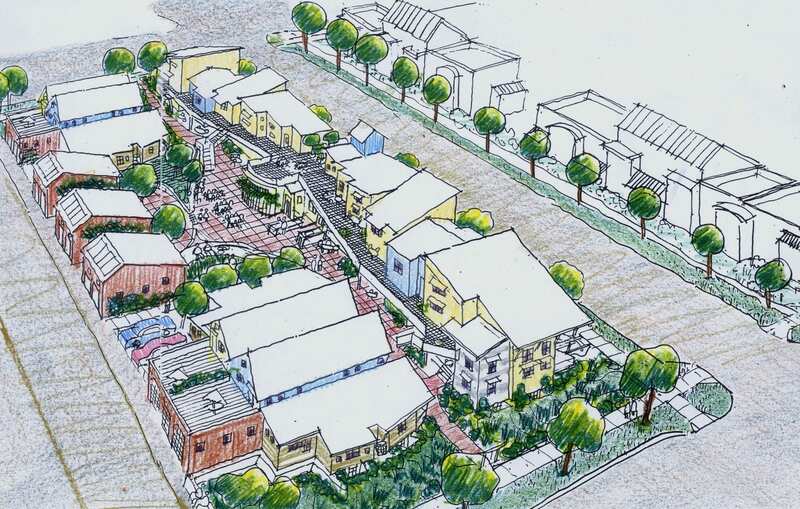 Sketch of a senior cohousing community. 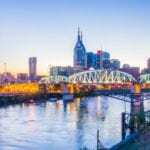 Nashville, TN— Senior cohousing is gaining traction as an affordable and healthy investment at a time when the senior population is rapidly growing. Quimper Village, a newly built senior cohousing community in Port Townsend, WA, has seen first-hand the benefits and challenges in creating a senior cohousing community. Their experience inspired the all-day intensive Senior Cohousing: A Roadmap to Starting a New Community, which will be presented at the 2017 National Cohousing Conference on May 19. Cohousing is a concept brought to the U.S. in the late 1980s by architects Charles Durrett (cohousingco.com) and Kathryn McCamant (cohousing-solutions.com). Cohousing provides an inherent sense of community through sharing common areas and having meals together several times a week. Senior cohousing is tailored for older adults to successfully age-in-place. Wide walkways between homes with parking on the outside of the neighborhood, front porches, and a large common house make living in community safe and fun. Most importantly, individuals in the community have a voice, and neighborhoods are co-designed by future residents. On Friday, May 19, Mr. Durrett will join members of Quimper Village to present Senior Cohousing: A Roadmap to Starting a New Community. The intensive will inspire and prepare senior cohousing groups to move their projects forward. Participants will have the chance to gain invaluable tools needed to create senior cohousing successfully from those who are already done it. Join Salmon, Durrett and others for this in-depth conversation on how to age-in-place in community. Sign up at www.cohousing.org/2017.